Is there Rising Demand for Smaller Units? Many people are under the impression that Gen Y and millennial crowd prefer smaller living spaces. This may be true to a certain extent but the demand for micro units has not risen sharply. Micro units could be classified in the 200 to 600 square feet range, and in urban areas, these units may not be game changers. According to a report by Urban Land Institute, units that were below 500 square feet formed only 2.7% of the real estate market in 2012-2013. Additionally, many developers have not considered this segment when they are developing new properties. Most developers are unwilling to downsize after considering the performance of micro units compared to larger floor areas. Even though minimum unit sizes have an appeal for the millennial segment, they are being redefined for millenials wanting more living area. Most property managers and property owners feel that young professionals in urban areas would consider favorably units with bigger areas that provide better living and entertaining facilities. Another interesting development is the millennial segment that is doing well in their professions and businesses. Many developers want cater to their needs and they feel increasing the square footage would be a sunny idea. In many properties, apartment units that were around 550 square feet were booked in record time. Nevertheless, recent studies also show that the number of single adults and single households has grown steadily for the past seven decades, and so has their concentration in urban areas. Single adults seeking life in the midst of urban areas have a low rent paying capacity, and therefore prefer micro units. Secondly, studies also show that occupancy rate of smaller units were overall higher, and they had the best occupancy rates at around 91%, in new developments that were finished recently during the year. Smaller units are appealing to those residents who simply prefer less living space, and those who like to live in trendy locations with limited finances. However, certain city councils seem to be opposed to the idea of smaller apartments and are implementing size restrictions on new developments. This is mainly to pacify residents who do not like living near micro units and the tenants they serve. Most developers are now considering upping their square footage, since they not only want to meet the city council restrictions but also want to meet the demands of future renters who prefer increased footage areas. However, many developers whose average floor plan was in the 850 to 880 square feet range are considering switching to 650 square feet plans. In view of all these developments, property management should focus on demographics that are able to afford larger floor areas, rather than restricting their efforts to only single household segment. Competitive pricing could play a role in attracting new prospects, but one has to be careful not to lower the rent drastically, since it might reflect on the state of the property. Secondly, young couples have dual incomes and they do not want to own a property, but prefer rentals with appealing features. Winter weather hits hard each year and property management is faced with the challenge of snow and ice on the property. Precipitation and snowfall has been steadily increasing each year, and this year it is expected to gain new momentum. Apartment properties are especially at risk during heavy snowfall, since they can be dangerous and damaging to the property and residents. In 2013, there was a record seven feet of snow, which caused roofs to cave in, and FEMA (Federal Emergency Management Administration) had to declare a disaster designation. For property management protecting the units and residents during heavy snowfall is a challenging task, and digging and clearing the snow is even more challenging and arduous. Many workers who are hired to remove snow sustain serious injuries every year, and some are even killed. Injuries and fatalities are usually caused by falls through skylights, from roof edges, and from aerial lifts and ladders. Property management should regularly listen to weather forecasts, and before expected snow or stormy weather, devise an effective plan for safely removing the snow from elevated surfaces and roofs. Here are some tips for removing snow effectively and safely. One of the best ways to avoid injuries and fatalities is not going on top of the roof to clear the snow. Instead, use draglines, snow rakes with extensions, and de-icing agents. Property management could also consider installing de-icing system on the structure, comprising of heating elements that will minimize buildup of snow on the eaves and roofs. Falling is the leading cause of injuries and fatalities, and many of these falls are through vents, roof drains, and skylights. Property management can make it safer for workers by providing a map of the roof and highlight these hidden hazards, so that workers are aware what lies underneath the snow at those points on the roof. Snow removal should be done in a systematic and uniform manner to avoid unbalanced loading. Certain important things have to be considered before the removal task, including the weight of the workers, equipment, and the snow's weight. Estimating the weight of snow, and the weight a roof can cope with, is quite difficult. The focus should be on uniformly lessening the load, rather than removing the snow completely. Property management should make sure workers are wearing the appropriate clothing and they should be equipped with protection gear just in case they actually do fall. While ladders can be used for accessing rooftops, it is important to see that workers are not using a shovel or snow rake while climbing or working from the ladder. Injury and illness is also possible from too much exertion and exposure to the intense cold. Make sure workers are wearing warm clothing suitable for extreme cold, to avoid hypothermia and frostbite. Provide adequate rest breaks to avoid exhaustion, back injuries, and dehydration. These conditions are known to cause falls and serious injuries and even fatalities which is a serious detriment to the entire operation and business. There has been an alarming increase in book manipulation by property management staff to steal rent payments and at the same time causing undue stress on residents and other property management employees. This is because some residents are being wrongly evicted which does not help anyone. These residents paid their rent on time but because of internal theft, their rent payment is never recorded. There have been cases where the site employees have diverted large amounts of rent payments to their personal accounts, and rent checks have been reported stolen from drop boxes. Ultimately, it is the paying tenants, the property owner, and the property management company that suffers. Even though most of these crimes are solved, residents have to endure inconvenience, stress, and even agony, including legal payments and issues as well. The consequence is a much greater loss than the rent payment or money order was worth. The best solution to these issues is implementing a secure electronic payment system. Such systems can now integrate seamlessly with payment sources and many popular property management software, thus minimizing the risk of fraud and theft. For residents who do not have credit cards or bank accounts, can still make cash transactions and make their rent payments through electronic money order from anywhere. The level of integration available in today's systems enables cash payment transactions from numerous retail locations, which can be done securely and without risk of employee theft. 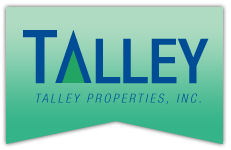 Tenants do not have to make a separate trip to purchase a money order and then deposit it into the drop box. In most instances, they can make their payments while they are shopping for their groceries. Integrated electronic payments systems provide several advantages to tenants, as well as property management. Tenants can make their rent payments securely through an integrated electronic payment system. Retailers or shops in the area are designated, which offer the electronic portal for payments. Residents can make their payments any time, even after office hours, and there is no necessity of depositing payments in drop boxes. Identity theft and other types of fraud are possible when the checks provide personal information, account, and routing numbers. This information can be easily stolen and manipulated from checks, whereas in an electronic payment system, all this information remains secure and it is not easy to pilfer. An electronic payment system will eliminate the paper trail at the property office, and employees will not be able to manipulate account books or even a record keeping system kept on a computer. In fact, employees are not involved in the whole process, and only an acknowledgement is received by the office that the particular resident has made his rent payment. Rent payments can be made in real time from anywhere. Even when the tenant buys an electronic money order, the payment is posted to the tenant's account in real time. Certain property management software allows full integration with electronic payment systems, while others can interface. Both ways the payments are accepted according to conditions and rules mandated in the system, which ensures a safe and secure transaction and easy processing. Big data is the latest buzzword for most businesses around the world, and it has a major role to play in property management. With the burst of information and data, available today, big data is an apt phrase, and is mainly used for benchmarking, risk analysis, predictive analysis, and business intelligence. Here are certain important points to consider when you think of using big data for property management. It is pivotal to know where you are starting from, to figure out where you intend to reach. Hence, the first thing property management can do with big data is lay down benchmarks for making improvements and raising efficiencies. For instance, utilities can be managed in a much better way, whether is it for going green or being sustainable. With benchmarks, residents and property management can understand the meaning behind the numbers, so that decisions can be taken more intelligently for creating efficiencies and cutting costs. Overanalyzing data is not going to produce better results, and in fact, it can sometimes be counterproductive. Once the data has been collected, reach for the goals that are easily achievable first. For instance, trying to figure out Energy Star rating for units might be difficult, but the data can provide many indicators where energy efficiency is possible. Even though big data has become a buzzword recently, the importance of information has never been undermined or not deemed essential. Collecting information and data has always been a priority for analytics and business intelligence. Hence, it is all about collecting the right information and data, to make the right decisions. The phrase, "Garbage in, garbage out" is popular amongst programmers, and it is equally relevant to data. Property management will have many entry points for data including the vendors, staff, home office, and so on, which makes clean data entry a challenging task. For instance, property management might need a professional service to clean up utility data. However, steps should be taken to develop a culture for entering clean data. People who enter data should be made aware about the expected quality of data. For example, rather than allowing the staff full freedom to enter marketing sources, a drop-down list of notable sources would make the entries cleaner. When data is clean, the analytics are much sharper for providing predictions that are more accurate. When you are studying a report, you usually want to see another report to take a better decision. This can however, go on and you might not know the full picture ever. Therefore, developing intelligence systems is a priority in businesses, as when this system is functioning optimally, it will compel right action. In property management, business intelligence will have a big role to play in centralized reporting predictive analysis, risk mitigation, and revenue management. The latest property management software are now not merely data collecting tools but also have robust reporting features that can prompt the right actions. Energy management is a key area where property management has the opportunity save costs and increase profit margins. In most properties, invoices for electricity, water, fuel oil, gas, storm drainage, sewer, and refuse costs are major items and have to be managed effectively. However, for measuring and reducing these costs, property management should know about KPIs (Key Performance Indicators). In order to use KPIs effectively, there should be a process to obtain high-level view and manage energy data. Property management should be able to measure, benchmark, compare, and analyze KPIs. On most properties, managers usually struggle with excel spreadsheets, whereas some take the help of invoice processing software or vendors. 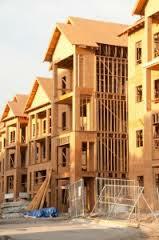 Some even employ experts to customize the system according to the requirements of the property. Ultimately, a system has to be in place that is highly capable of measurement and verification. Property management can then define factors, which are critical to the management of energy spending. For such a process to work, it is critical to compare KPIs, since each property and its management is different, and the importance of KPIs may vary. However, the following KPIs should be always considered for forming a strategy for energy management. Cost is one of the KPIs that will always top the list on any property. Some prefer to compare cost between sites, while some like to categorize items and compare between them. 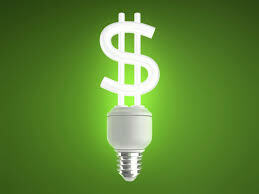 However, energy management and savings is much easier when you line up energy spends by cost. The best place to find where most money can be saved is the place where it is being spent the most. Then strategies can be developed to reduce the percentage of spend gradually. However, other important areas should not be ignored, such as discrepancies in invoices and possible leaks. Nevertheless, cost should be your benchmark and must be give top priority. Property management can have direct control in certain situations by exercising the best energy rates. Current rates will have to be reviewed and potential rates will have to be investigated. Wherever this is possible, savings can be made even before implementing strategies for reducing cost through usage. Therefore, property management should have very acute knowledge about the current rates, which will make comparisons possible. For instance, when comparing three properties in the same area, if even one is paying a different rate, then something could be wrong. After investigation, property management might have to make changes to lower cost of one or two of the sites. Rates can be controlled through energy procurement. Most states are now allowing deregulation of gas or electricity. It is possible to get an outcome where the rate structure could be lower, and the benefits can be procured over a long term basis. It is best to open the door towards a service provider that understands the multifamily industry and has experience in providing services to this segment. This is the key area where strategies can be formed for reducing costs. It is quite simple since usage equals cost. Therefore measuring, managing, and reducing usage will ultimately reduce costs. Repair and maintenance are often considered major issues in property management, especially on apartment properties. Whether the unit is new or old, there will be pipes leaking, HVAC units failing, and water heaters malfunctioning. Maintenance and repair is a major expense, which often eats away the profit margin and ROI. Even though these tasks are inevitable, effective management can help in reducing costs. 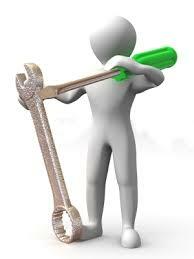 Apart from acquiring better deals on replacement items there is much more to effective maintenance management. Many property managers feel maintenance is a messy business and most do not have the skill set to handle these tasks. In maintenance, one needs to be able to run projects smoothly, manage deadlines, have a keen eye for detail, and manage vendors or maintenance teams. Especially, vendors should be effectively managed to make sure the tasks are being accomplished at reasonable rates. Poor record keeping, overpaying for materials, and having the wrong team for the job, are often the main reasons for failure. Ideally, superlative maintenance management would mean having effective leadership, establishing efficient reporting procedures, having clear descriptions of jobs, and most importantly having a balanced mix of primary and secondary vendors who are able to deliver. Property management should aim to develop an effective maintenance management program that incorporates streamlined processes for leveraging available opportunities and plan execution. Streamlining can be done by firstly identifying who can do what, how it can be done, and how it can be executed. This would include choosing the appropriate vendors, forming the right agreements with them, and implementing standardized costing. These three things are the foundations of your maintenance management strategy and hence should be carefully planned and executed. Lastly, property management should seriously consider choosing effective maintenance management software that will serve as a tool. However, the difference between tool usage and process execution should be clear. If the process is not executed properly, the technological advantage of using software will be defeated, and in fact, the software could create more issues and increased workloads. For instance, such a situation could be compared to using a wrench for hammering a nail, instead of a hammer. A lot has changed in the past few years including the expectations of tenants and the rules and regulations of the state and city that have to be complied. Having the best maintenance management software could make a major difference in not just the management of larger projects but also in the execution of day-to-day things such as turnovers and service requests. The software will enable property management to track projects in accordance with a set time, which will provide property managers with the required control for overseeing each task to the very last detail. Summing up, managing maintenance projects effectively is all about managing processes, people, and technology. Mishandling any one of these three aspects can seriously upset management of the project, and could result in increased costs, poor turnaround time, dissatisfied tenants, and can ultimately detrimentally impact the property’s bottom line. Property management will have to prepare their budgets for the coming year, and the performance in the next year will be acutely influenced by how well this budget forecast was prepared. The performance of the budget will depend on many factors including management practices, behavior of the market, and prevailing economic conditions. Forecasting is a special skill that can help property management see how the property is going to perform strategically and financially in the near future. Expense and revenue forecasting also helps to gain insight into possible pitfalls or opportunities that may lie ahead. However, most property managers do not like to open the window to forecasting, and it is usually seen as a required task rather than a useful tool. Secondly, forecasting can be a major chore if it is not aided by software and automation. Usually, forecasts for apartment properties are done by utilizing spreadsheets, which require quite a bit of preparation and there could be many errors in the formulas used. Here are important points to consider that can make the process of forecasting much easier. Right in the beginning, the correct data will be required for identifying trends and for determining a baseline. If the numbers do not represent realistic projections then the forecast is not likely to work. Data being the crucial factor in forecasting, it should be easy to access. This will speed up the forecasting process dramatically. Data should be seamlessly available, so that it can be easily captured and imported into the preferred forecasting tool. A magnificent tool will enable storage and quick modification of the data. On the other hand, manual copying tasks and flipping between printed spreadsheets will slow down the process considerably. To forecast with stunning accuracy it is pivotal to track previous performance levels. The system used by property management should have in-built features for generating reports on different aspects of the property. For instance, in order to project energy costs, you will require a detailed overview of utility invoices, which can be analyzed easily. Collaborating with professional vendors and business groups can greatly improve forecasting accuracy. In this regard, a striking web-based tool would be very useful that enables quick data sharing. Otherwise, property management will have to handle and send spreadsheets manually, which is cumbersome and slow. Seasonal changes have a resounding influence on revenue and expenses. For instance, consumption of water will be more in summer season, which is going to hike up the water bill. Hence, instead of a yearly average cost, it is better to incorporate seasonal trends, which can improve cost forecasting and the budget for those particular months. Accuracy of your forecasts will play a major role in not only in long-term predictions of performance but also in short-term decision making of operations. Forecasting is a strategic process that can help property managers discover profitable avenues and potential areas of savings, by analyzing past performances and expense trends. All properties must comply with the Americans with Disabilities Act (ADA) 1990 and the Fair Housing Amendments Act of 1988. Non-compliance could result in huge damage settlements and costly lawsuits. Property management can prevent exposure to such risks provided they simply understand the laws and rules about accessibility compliance. One of the major misconceptions is that apartment units are automatically accessibility compliant when they are newly built. However, this is not usually so because ADA approval may not have been given by a federal or state agency such as HUD (Department of Housing and Urban Development). There is no check carried out by HUD or state agencies to see if the newly constructed units are accessible. This means if the architect has not designed the property according to accessibility laws then the property could get into trouble when there is a tax credit inspection by a state agency, and it could be much worse when a mobility-impaired tenant files a lawsuit. In the past few years, there have been number of accessibility violations, and apartment properties had to pay huge settlement for damages and many were in seven figures. There are fantastic chances that many properties are non-compliant with accessibility rules, even if the builder has completed the transition and self-evaluations plans required in 1989 by HUD. Most of the compliance issues, which were reviewed about 25 years back, may not be relevant, as the property could have changed for a variety of reasons. Even though the rules of the Fair Housing Act do not change often, the level of required compliance of the property might change. For instance, a thermostat being replaced in an apartment unit might be placed too high. To determine potential risks of non-compliance, it would be a stellar idea to have the property professionally assessed for accessibility compliance. Look at the charges as an investment in risk management, since it can save the property millions of dollars in lawsuits. It is strategic to have the assessment done by a professional team, since it can be a daunting task. One has to be knowledgeable about the many local, state, and federal rules, and know which of them apply to the age of the property. Most accessibility non-compliance problems arise when the property is older, the thresholds are high, the accessible parking spaces are not enough, and thermostats and switches are not easily accessible. Other issues include narrow doors and not enough floor area for accommodating wheelchairs, and blocked sidewalks due to parked cars. Therefore, it is best for property management to detect accessibility issues early and have them sorted out immediately. Secondly, even if the property has been checked and has been certified earlier, it is prudent to do an inspection now to make sure it still complies with accessibility rules. Whenever, there are renovations and repairs, make sure to keep accessibility rules in mind and do not alter the original placements of switches and thermostats, especially when the property has be inspected previously and it has passed all the requirements.